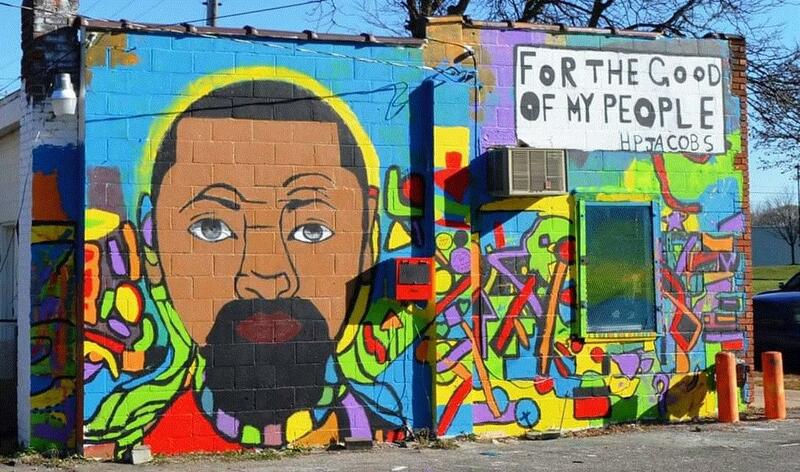 Ypsilanti Mural Project's first creation honoring Dr. H.P. Jacobs. Stateside Host Cynthia Canty speaks with Ypsilanti High School art teacher Lynne Settles and student Jay Seals about the Ypsilanti Mural Project. When Ypsilanti High School art teacher Lynne Settles first arrived in town, she was unaware of the city's history. After a walking tour with a local historian, Settles was amazed by Ypsilanti's rich yet little-known African-American heritage. "I was totally blown away and shocked by how much history was here," Settles tells Stateside host Cynthia Canty. That experience ultimately led her to organize students to work together to create murals to celebrate Ypsilanti's African-American history. Lynn Settles was joined in the studio by Jay Seal, one of the students who is involved in what is now officially called the Ypsilanti Mural Project.